A cover letter is a professional document that often comes as along with a resume. The role of such a letter is to highlight the professional skills, abilities and potentials of a person in a formal way. 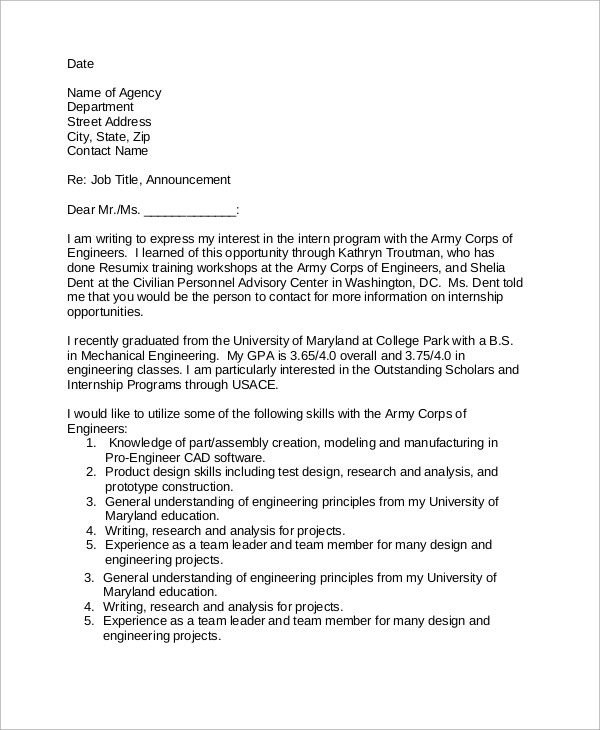 Even some information that cannot be included in a resume can be mentioned in an Email Cover Letter Samples. In contemporary times, emails are mostly used for digitalized job applications. 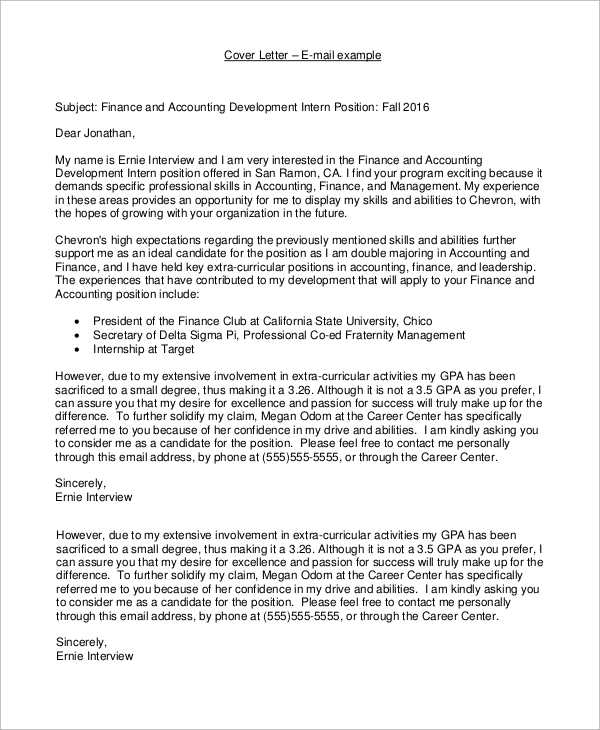 Here are some simple cover letter samples that you may need. 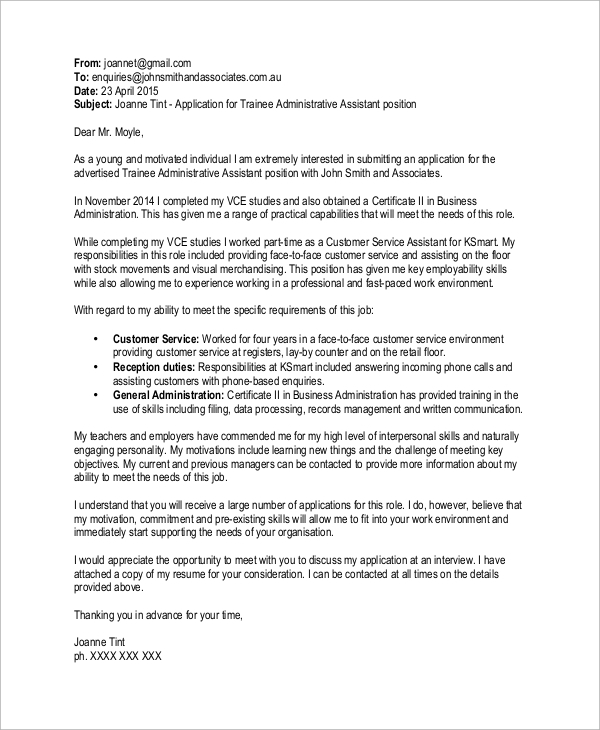 This is a simple Email Cover Letter Samples that can be used in the digitalized recruitment process. The abilities and achievements are summarized here with a formal tone. It delivers a concept of the professional profile of a candidate. 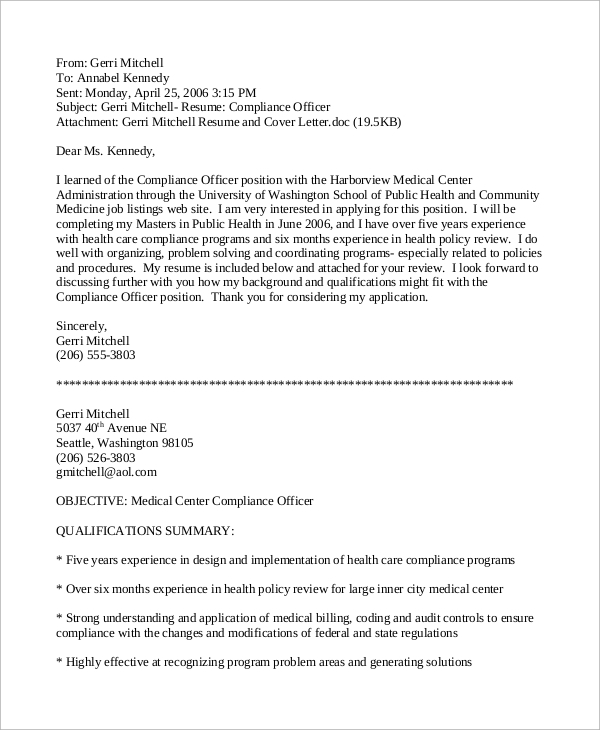 The Sample Email Cover Letter for an administrative assistant contains the personal abilities and work experience. These may be listed up under separate heads in the form of bullet points as well as paragraphs. 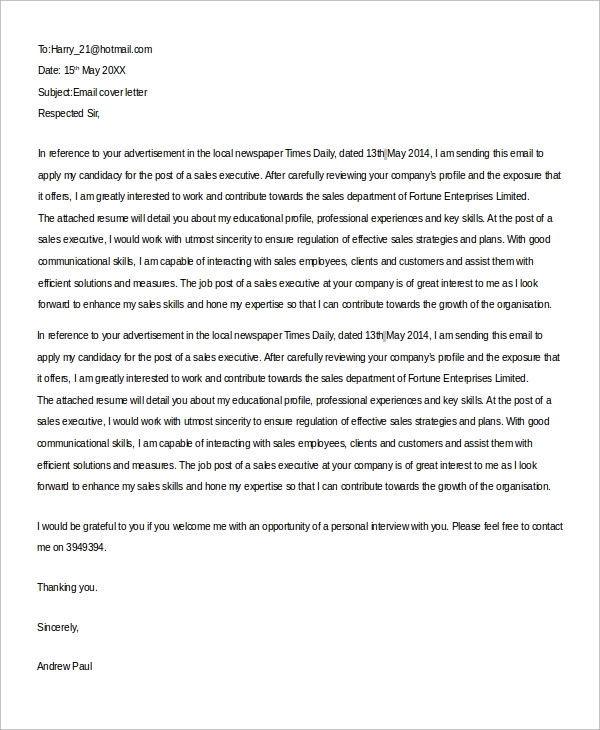 These letters are tailored to the profiles of sales executives. You may include the benchmarks that you have achieved or the communication skills that make your profile different from others in the industry. Why is an Email Cover Letter Important for You? The fundamental difference between an email Sample Cover Letter and an ordinary cover letter is the medium of communication. A section of people is of the opinion that there is no need of a cover letter if the resume is strong enough, but this concept is wrong. A cover letter delivers a professional attire to your profession. Different aspects like personal abilities and skills, educational qualifications and professional specializations are summarized in a few attractive sentences. Recruiters spend hardly half a minute to go through your cover letter. Evidently, it is important to craft your cover letter in a flawless manner. 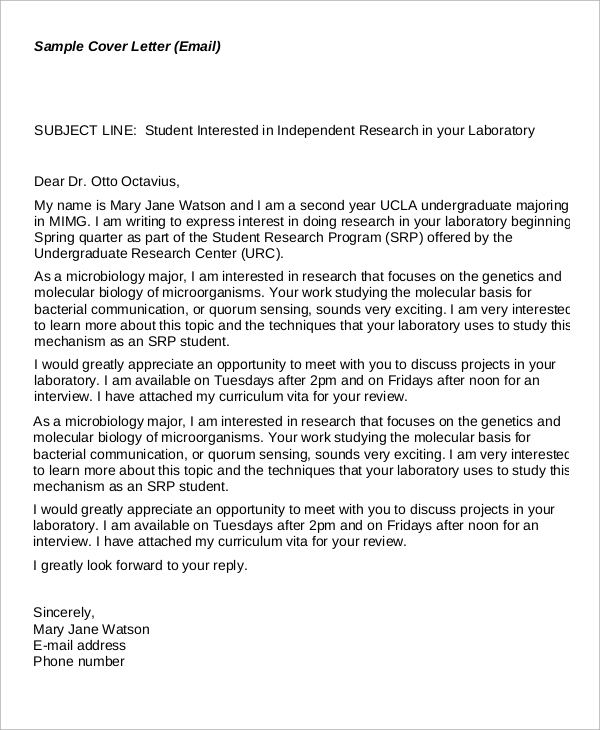 Professionals applying for research work in laboratories need these letters. They can mention a preferable time slot if any. The reason why they are to be selected for the post is justified in a few sensible lines. Professionals in the engineering sector need winning cover letters as there is a lot of competition. Here, the academic qualifications and professional experiences are mentioned clearly. You may use numbers to list up the skills and abilities. How to Make Your Cover Letter More Effective? 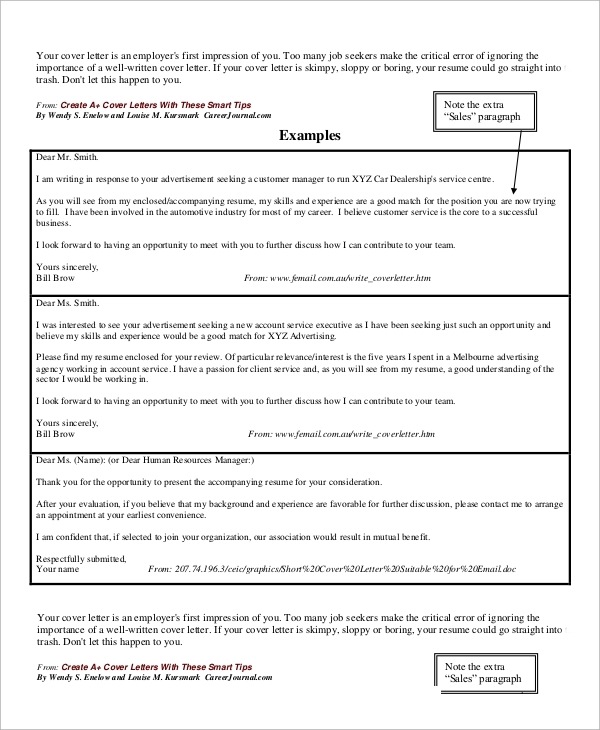 To make your email Example Cover Letter invincible, you need to follow certain guidelines. Utilize the subject line to market your skills. Use all the available characters efficiently and be crisp with the choice of words. The best way to craft these letters to keep the message short but complete. Dynamic letters work out well and induce the recruiters to go deep into the resume. One major inclusion of email cover letters is the keyword. These are required to specify your skills and the industry you are suitable for. Since there is a lot of variation in job opportunities and positions, you need to customize the cover letters as per the requirement. It is wise to use specific email cover letters, rather than generic ones. 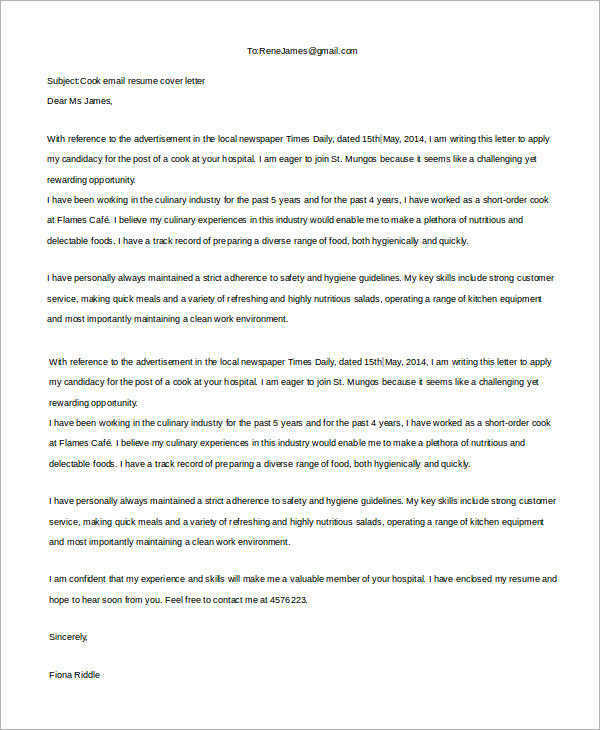 You can check out different Cover Letter Examples from the website and tailor the ones that will be of utility to you.